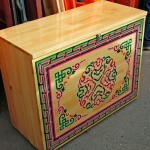 Very handy to create a kitchen or toilet inside the Yurt. 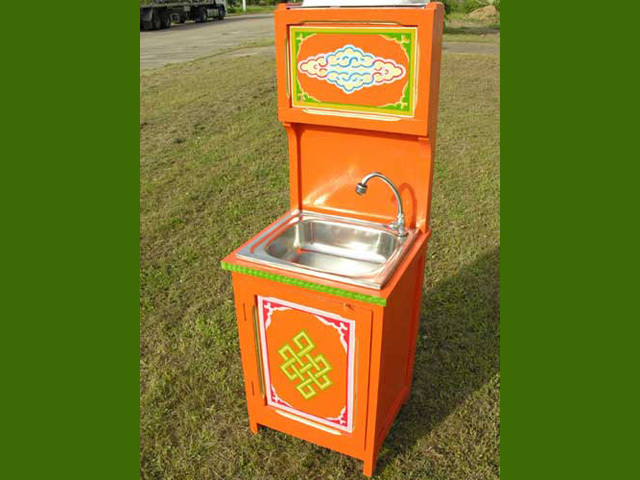 Yurt sink furniture includes lower door with space to place water tank. 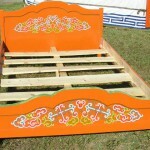 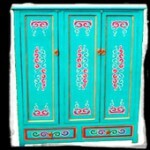 Painted with traditional designs, you can choose the color!